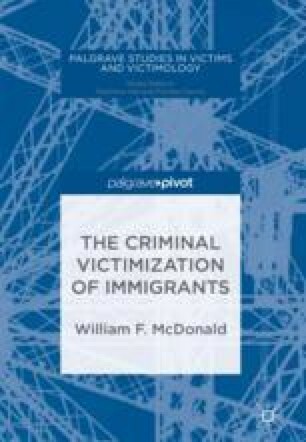 Data from international and historical sources show that immigrants: are at greater risk of criminal and civil victimization than native-born people; are usually victimized by fellow immigrants; are often the victims of hate crime; and are vulnerable to victimization by virtue of lacking knowledge of the culture and resources needed to cope. Mukherjee, Satyanshu. 1999. Ethnicity and Crime. Trends and Issues in Crime and Criminal Justice, No. 117. Australian Institute of Criminology. http://www.aic.gov.au/publications/current%20series/tandi/101-120/tandi117.html. Accessed 9 Aug 2004.